Driving lessons require time, commitment, suitable roads, and a good instructor. Suja Driving School is the best-rated school in Bradshaw because we ensure that all the factors are put in place to guarantee a pleasurable learning experience. Bradshaw is a great place to start and conclude your driving lessons because it has all the right roads. 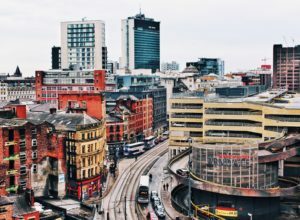 We make sure you greatly benefit from the diversity of learning locations this beautiful city has to offer. Driving lessons in Bradshaw are flexible with Suja Driving School. They are tailored to suit everyone regardless of where you are in your learner journey. Our unique and excellent driving instructors are familiar with all the best roads for effective driving lessons. They also know excellent areas where you can practice between lessons. Practice is a major aspect of learning that builds your confidence and accelerates your learning ability. Driving especially requires proper practice to fully learn and become an expert behind the wheel. With the best driving instructors in Bradshaw, Suja makes it easier for you to establish adequate practice under our guidance. Our instructors are there to pick up on your mistakes and steer you in the right direction again. We include these mild challenges to allow you to fully test your skills and further groom your confidence behind a wheel. Driving automatic cars is believed to be the safest driving option. An automatic car has a brake, accelerator, and no clutch. The car automatically changes gears for you, so there is no need to concentrateon or think of gears and a clutch while driving. Manual cars have the complete system with the brake, accelerator, and clutch. You will have to change gears yourself when driving. Most British drivers prefer to learn driving with manual lessons. This is because a lot of commercial cars are manual and it is sometimes assumed that a person with a manual driving licence can drive an automatic car. At Suja driving school in Bradshaw, we recognize that manual lessons aren’t for everyone. Automatic lessons offer the chance to learn driving faster, and some people are more comfortable with this option. Automatic cars are easier to drive in heavy traffic and could be a practical choice. However, manual lessons are cheaper and with it, you can drive both cars. 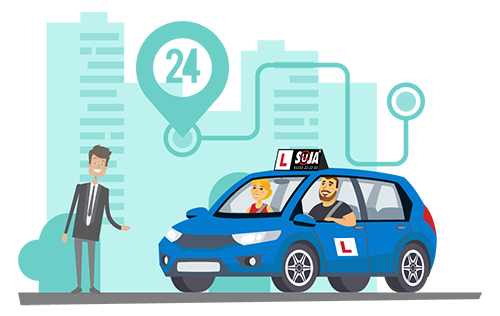 Suja has the best driving instructors in Manchester who can provide lessons for both manual and automatic cars. Simply make a decision on learning either one, and our instructors will put you through effective driving lessons in Bradshaw area. We know that most people believe that manual lessons take longer, but with Suja driving school, we can make a difference and lessen learning time with our practical lessons. 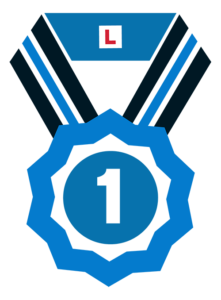 We take you through a step-by-step process until you are proud of your achievements and ready to take on your practical driving test. We never share your information with any third party.